“Nearly all my work consisted of commercial radio, the odd broadcast, and personal appearances at local town halls around London. But then when the war broke out, all the commercial radio programmes that I was doing were wiped out almost immediately and all the Town Halls were taken over for air raid precautions etc. So for a while the only thing I was doing was the odd broadcast and my solo recordings for Decca”. With Denny’s normal avenues of work greatly reduced, Denny was eventually engaged by the BBC as one vocalist within a pool of entertainers who would operate from various locations in Britain. Denny went to Bristol, and for a while he seemed to be on just about everything, often making six broadcasts a day with such shows as ‘Composer Cavalcade’, ‘Songs From The Shows’, ‘ITMA’ and later ‘Much Binding In The Marsh’ coming from ‘Somewhere in England’, plus a whole host of other shows. It was during Denny’s time at Bristol that Denny received an offer from the Paul Whiteman Orchestra in the United States, but with the war, the offer had to be refused because the ‘Ministry of Labour’ would not allow Denny to go. In between his hectic schedule, Denny still made records. The period 1939-1946 is one where Denny really came into his own as a vocalist and stylist. He was confident, self-assured, and in the prime of his talent. What a pity it is that the vast majority of those wonderful recordings have not seen any reissue to this day. Denny and many other entertainers, Sam Costa amongst them, thought that they could better entertain the troops if they were in service, so on June 24th 1940, Denny enlisted in the RAF. Ordinary Aircraftsman Denny Dennis, on 2s6d a day. (12.5 p) was to remain in the RAF until late 1945. Denny performed many duties during his RAF years, but his main role was essentially that of an entertainer. 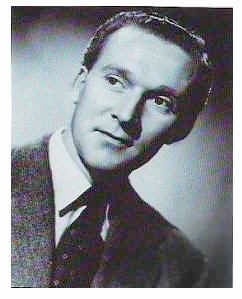 While continuing to make many solo recordings, Denny also made many broadcasts with bands such as the ‘Skyrockets’, Sidney Torch, The ‘Squadronaires’ and later Ted Heath, appearing still on radio shows such as ‘Composer Cavalcade’ and ‘Much Binding In The Marsh’. For about a year Denny was posted to Iceland, where he also operated with Sam Costa as a Disc Jockey on Radio Reykjavik. It was during this period that Denny learned the tragic and devastating news that his brother Eric, who had joined the Merchant Navy in 1940, had been lost at sea when the ‘SS Stonepool’ was sunk by enemy action somewhere off Iceland on November 11th 1941. Denny continued to make many recordings, some of which were for the ‘Overseas Recorded Broadcasting Services’. (ORBS). Broadcasts and solo recordings would be sent overseas to provide entertainment for both the British and American Forces network. Many of these solo recordings were made with Norman Stenfalt at the piano, and four were released commercially. However, most of these solo and broadcast recordings have disappeared with time, and only a few have surfaced. They must exist somewhere and it would be wonderful to find them. While the war years kept Denny in the public eye, they also witnessed some strange events in his career. At one point the BBC was concerned about the image the dance bands were projecting within their broadcasts, especially the ‘crooning’ element, which it was thought might be promoting too much ‘over sentimentality’. A committee (which became known as the ‘anti slush’ committee) was set up to look into it, and it eventually began to ban certain numbers, including Glenn Miller’s ‘Moonlight Cocktail’. Such decisions led to certain dance band vocalists being banned from broadcasting too, and work for some was harder to come by. The BBC was the only broadcasting system at the time, so to be banned was a major blow to a career. A major row ensued as the music industry criticized the BBC, which was effectively telling the dance band leaders which vocalists they could use on broadcasts and which ones they could not. Denny was never actually banned, but there was a rumour that he might be. At one point Ted Heath was told that he could not use Denny on a number of broadcasts. It usually fell to the bandleader to inform the vocalist. Eventually, Heath was allowed to use Denny, but despite this, Denny was always uncertain about his future within broadcasting. Oddly enough, it was just after this period that the Glenn Miller Orchestra arrived in Britain, broadcasting via the BBC to American troops in Europe. Miller featured the cream of sentimentality as his vocalist, one Johnny Desmond, popularly known as the ‘GI Sinatra’. In 1945, the war that had curtailed and interrupted Denny’s solo career came to an end. Denny was still voted as one of the top male vocalists of the period, and despite the problems that the occurred, the war years had not been so bad to his career after all.